Blastrac has developed two new ranges of Ø125 mm and Ø180 mm cup wheels: the Boomerang & Arrow ranges. These tools are designed to be fitted on hand held grinders with a working width of Ø125 mm and Ø180 mm. This special segment design is more aggressive on serfaces compared to the traditional double row segment pattern. 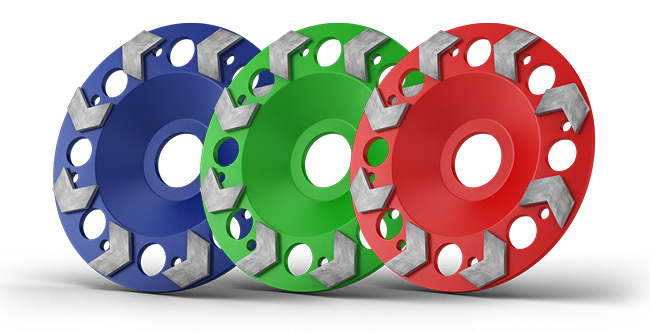 Compared with sngle row segment cup wheels, the boomerang design requires less grinding pressure to be effective and creates a more equal grinding pattern. 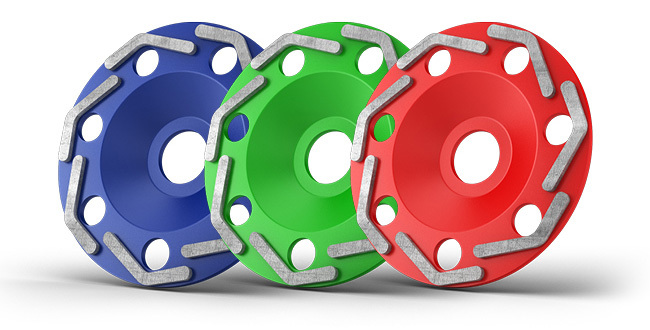 Due to the arrow segment design and the special bond mixture, the arrow cup wheels cuts and grinds simultaneously. This makes this cup wheel extremely effective for removing thin top layers from sub floors.